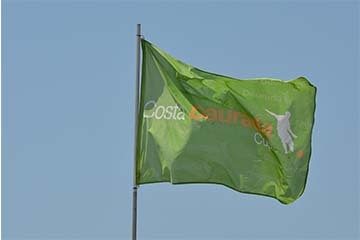 The Costa Daurada cup takes part in the heart of Costa Daurada, which means “Golden Coast” in English. 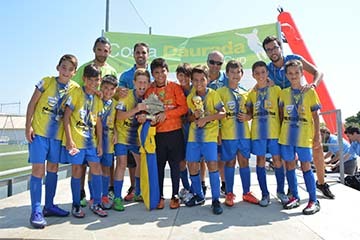 Located in the province of Tarragona and on the Mediterranean sea this is a tournament venue that you will never forget. Test yourself against some of the Spanish giants like RCD Espanyol, Atletico Madird, Levante UD & many others. All teams enrolled in 11-a-side categories are allowed to play with 2 players 1 year older than the age of the category in which the team is enrolled. In 7 and 8-a-side categories, each team is allowed to play with just 1 player a year older than the age of the category in which the team is enrolled. In all cases, these players have to be registered in the list of players of the team. Teams playing in 11-a-side are allowed to register 3 girls in their list of players. In 7 and 8-a-side categories, each team will be allowed to register a maximum of 3 girls. Special rule for US and English teams playing in all categories: Players born after the 1st of August of the previous year to the category will be able to play.